The process of manufacturing hydrogen from water experiences chemically aggressive conditions, which wears out the catalysts that are used. Regenerating themselves would thus be practical. 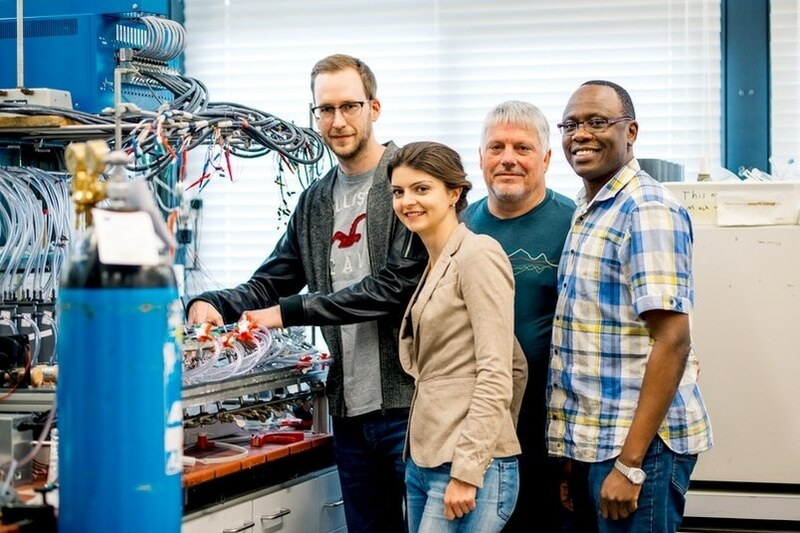 A catalyst with self-healing properties has been developed by chemists at the Centre for Electrochemical Sciences at Ruhr-Universität Bochum. In the midst of the challenging conditions of water electrolysis for producing hydrogen, the catalyst material regenerates itself, as long as the components needed for this are present in the electrolyte solution. A report on this was presented in the journal Angewandte Chemie International Edition by a team involving Stefan Barwe, Prof Dr Wolfgang Schuhmann and Dr Edgar Ventosa from the Bochum Chair of Analytical Chemistry. The research took place as part of the cluster of excellence Resolv. Hydrogen is known to be an energy source of the future. However, it is indeed a challenge to find efficient and stable catalysts to synthesize. This synthesis is performed using water electrolysis, with hydrogen produced at one electrode and oxygen at the other. A catalyst film is used to cover the electrodes. This film is attacked during the reaction and thus it becomes less effective. A new way of developing a highly stable catalyst film was demonstrated by the Bochum chemists in a feasibility study. These chemists added catalyst nanoparticles in powder form to the solution, which surrounds the electrodes. Following this, the particles pumped via the electrode chambers crash with the electrode surface. At this point a particle film is developed based on electrostatic attraction forces. Particles with a negatively charged surface are deposited on the cathode and particles with a positively charged surface are deposited on the anode. Thus, the catalyst film forms by itself. With the help of the same mechanism, the catalyst surface regenerated during the reaction. New nanoparticles from the solution passed to the electrodes, and they now freshened up the worn catalyst film. This self-healing effect prolonged as long as catalyst particles existed in the solution. The team experimented with nickel electrodes. Two different catalyst powders were tested for the two electrodes, one a cobalt-based material and other a nickel-based material. All of the catalyst materials produced a film, which was a few micrometres thick on the electrodes, based on the confirmation provided by the electron-microscopic captures. The measurements also revealed that functional systems produced that hydrogen in a stable way over several days. In studies to be conducted in the future, the chemists plan to analyze in a detailed manner the influence of particle size and shape and also the influence of the electrolyte solution on the stability and efficiency of the catalysts. The work was supported by the German Research Foundation as part of the cluster of excellence Resolv (EXC1069). Additional funding was provided by the German Federal Ministry of Education and Research as part of the “Mangan” project (FKZ 03EK3548).